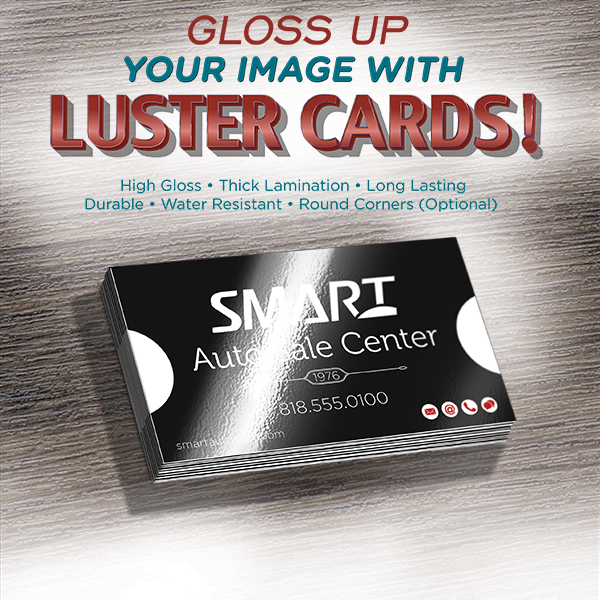 Upgrade your product line with brilliant high-gloss Luster Cards! 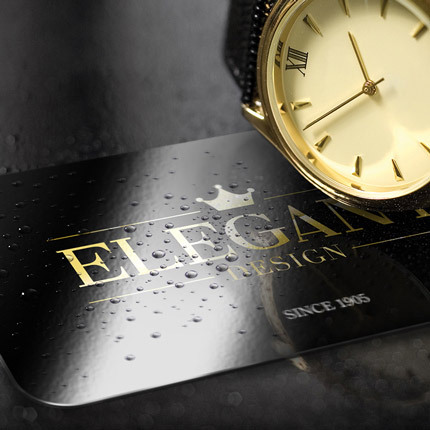 Allow your Business Cards and Sell Sheets to make a big impact at Business Meetings with extra durable, water resistant, Luster Cards. 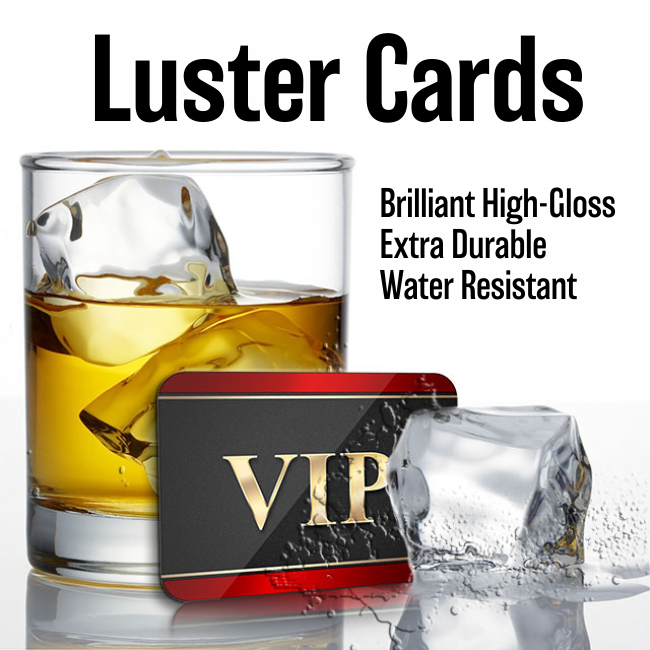 Or use them to make a lasting impression by mailing them out to executives in the form of Postcards and Announcement Cards. 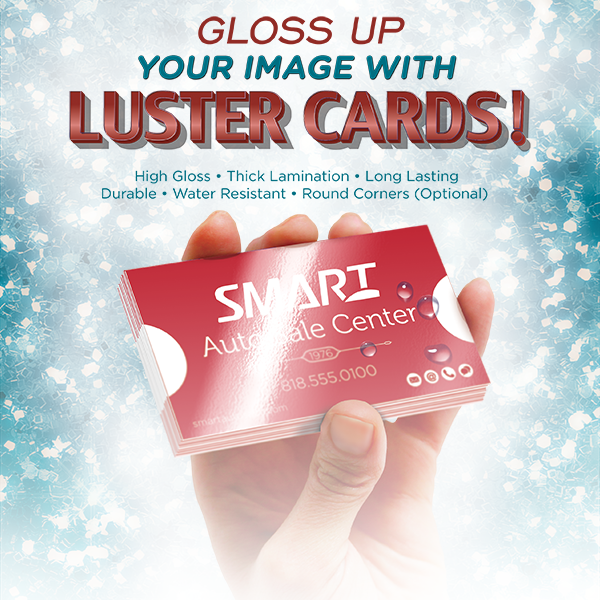 Luster Cards are printed with high-quality offset equipment on 16pt card stock and then they are laminated with an optically clear 3mil high-gloss laminate on both sides, making the cards a colossal 22pt thick. 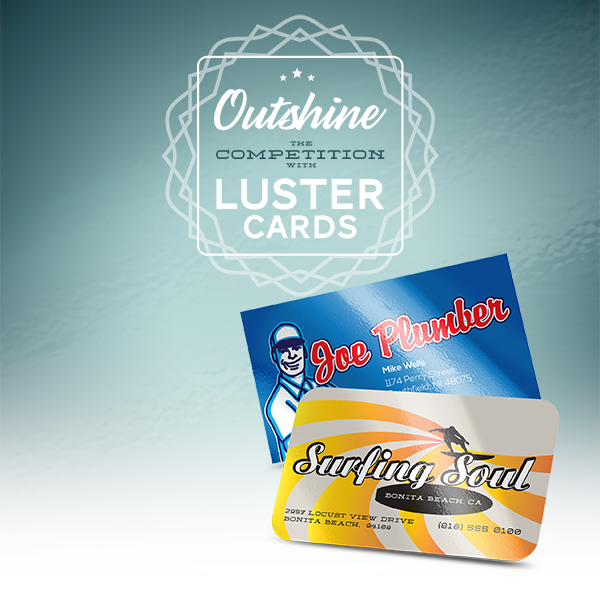 Luster Hang Tags come with straight corners and 0.125″ drill hole.